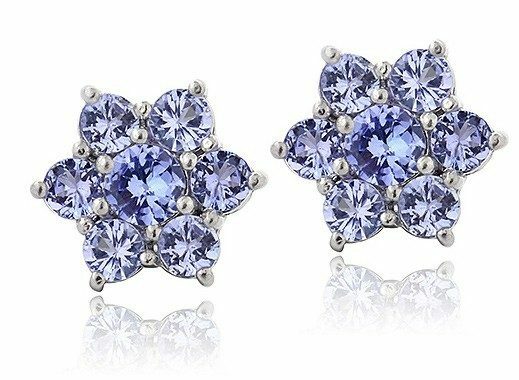 Tanzanite & Sterling Silver Flower Stud Earrings Only $28.99! You are here: Home / Great Deals / Tanzanite & Sterling Silver Flower Stud Earrings Only $28.99! These Tanzanite & Sterling Silver Flower Stud Earrings for Only $28.99 are calling my name! The shape and color are fantastic! The earrings are 2 carat total weight, so they are a good size!